Bonus! Your dog's coat will never be so soft and shiny! How to keep your dog from shedding excessively all year long. Supporting skin health is the key factor for anti-shedding success. 1. Brush and groom daily. Set aside 10-20 minutes daily to spoil your pooch with some brushing and bonding time. Deep brushing will help distribute your pet's natural oils over the skin and coat. The circulation to the underlying skin will help keep the skin rejuvenated. While grooming, you'll also be removing dead hair before it has the chance to invade your home. 2. Use a good dog hair removal tool. Unlike grooming brushes, dog hair removal tools will actually help extract excess fur. There are many de-shedding tools that make excess hair removal a cinch. Shedmonster and the FURminator are both popular de-shedding tools. We recommend using a de-shedding tool 1-2 times per week. 3. Bath consistently, not too often. Bathing can help prevent dry skin and itchiness by removing surface allergens. A bath once every three weeks should be enough. Unless your pet is dirty, don't bathe more often than that. This will help prevent the skin from drying and releasing more hair. Avoid synthetic and human shampoo sold in the marketplace. Choose a shampoo and conditioner with gentle, natural ingredients. 4. Add and rotate Omega-3s from fish oil. Adding high-quality, wild fish oils to the diet is the magic holistic potion. The new, life-changing strategy for skin and coat health is Fish Oil Rotation. Rotate Pure Omega Fish Oil with Pure Alaskan Salmon Oil. You're going to find this the most effective way to rejuvenate the skin. Thus, reducing unwanted, unnecessary, excessive shedding. 5. Catapult the results with probiotics. You're almost there! You need one more anti-shedding addition, Pure Digestion Probiotics Chews. These will help detoxify the gut, allowing it to absorb vitamins and nutrients. 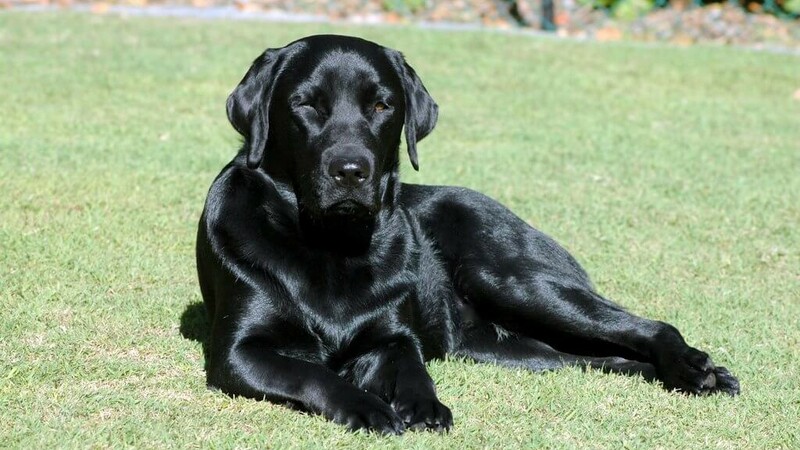 Increasing the effects of the fish oils, resulting in healthy skin and a lustrous coat. They will also prevent bad bacteria from building up. Which over time can damage and inflame the skin. The good news and the bad news about shedding. Let's get the bad news out of the way first. The bad news is, there is no cure to stop shedding completely. 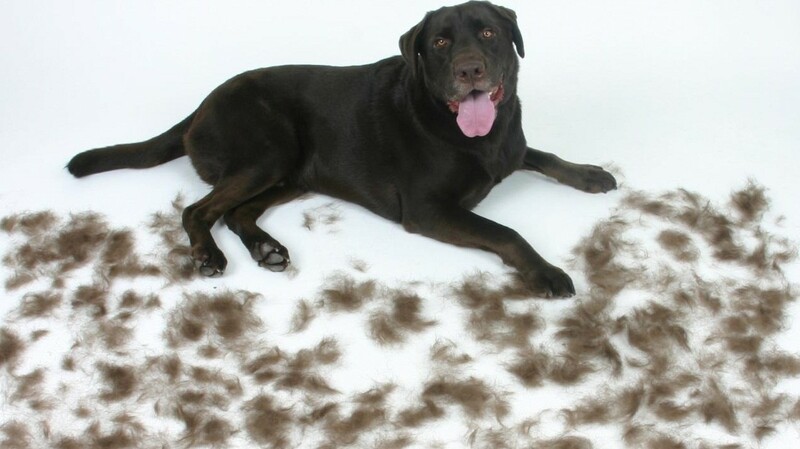 The amount of shedding depends on your pet's health, the time of year and your breed of dog. Excessive shedding can be a sign that your pet is lacking proper nutrition. Don't ignore the fact that you may have underlying health issues on your paws. Pets suffering from dry, itchy skin or excessive shedding, may need nutritional changes. It's likely they are lacking healthy Omega-3s. The other contributor is unbalanced, unhealthy, toxic gut. Creating a bad environment for bad bacteria to build up, dry the skin and cause more hair loss. The good news is, shedding is a natural and healthy process. Fur helps protect the skin from environmental damage. It also helps regulate your dog's temperature. When you follow the above tips, shedding is easy to manage. Plus, your pet's skin will be healthier. Dandruff, dry, itchy patchy skin will subside helping to keep healthy fur intact. Try the above home remedy tips to nourish and moisturize your pet's skin from the inside out. Allowing healthy skin to keep a full, luxurious coat. How to do the Fish Oil Rotation Technique. We've discovered the ultimate home remedy to reduce shedding. An advanced, yet simple technique called Fish Oil Rotation. Combine with Pure Digestion Probiotics. Pet parents report, this is the most effective way to decrease shedding. The big bonus! You will notice less unwanted hair around the house. You're also going to love the look and feel of your dog's skin and coat. Dull fur, dry, itchy skin, dandruff and symptoms from allergies should all start to subside. How to do the Fish Oil Rotation Technique. Follow the serving for your pet's body weight, indicated on the label. One day, Pure Alaskan Salmon Oil followed by one day, Pure Omega Fish Oil. Continue this rotation every other day. Yes, it's that simple! How it works. Rotating the sources of Omega-3s every other day provides an extra boost to the body. Supplying different sources of essential fatty acids needed to combat unhealthy skin problems. Each species of fish offers unique Omega-3 sources. When rotated, they are able to simultaneously contribute to help lower inflammation of the skin. Your pet's body will reap the benefits of both oils. Detoxify and balance the gut. Add Pure Digestion Probiotics Chews daily. They will help balance and detoxify the gut. Bringing the ability for the body to absorb Omegas, vitamins, and minerals to a whole new level. Replace all filler-packed treats. Serve Pure Salmon Mini Nibs or any other fish treat. Choose air or freeze-dried pure fish treats. Other store-bought pet treats contain ingredients that will aggravate the gut and skin. We love our pets! Every mix, breed, age, and size. We love them as they are, fur and all! The biggest mistake pet parents make is looking for quick-fix solutions. It's easy to be tempted to try the supposed newest and greatest prescription drug. Promising to cure unhealthy, dry, itchy, allergy prone skin. These drugs may appear to relieve skin discomfort, but they are only temporary. Medications are usually expensive and unsafe for continuous, lifelong use. We believe in the power of holistic home remedies. The Fish Oil Rotation Technique is the newest and greatest natural solution. Designed to be safe for the pets we love for their lifetime. With your love, dedication, and patience, you can enjoy less shedding. While your pet enjoys showing off his new, shiny fur coat. That's what fur baby love is all about! "I cannot believe how much of a difference this has made and how fast it worked. He is also now shedding a lot less and his dry skin has completely cleared up and we aren't even done with the bottle. He loves it as well!" A POWERFUL ANTI-SHEDDING, ANTI-ITCHING GLEAM KIT FOR YOUR PET'S SKIN AND COAT REJUVENATION. A serving daily will restore your pet's skin and will bring back the gleam in his coat. Healthy skin will make shedding finally manageable. Today, 10% Off! Your Price: Plus, free delivery in the USA! BUY SKIN & COAT GLEAM KIT NOW! Important to consider while you're on your skin and coat journey. There are some environmental and food allergies that can't be overpowered by home remedies. If you don't notice improvements while following these steps within four weeks, contact us and your veterinarian. Together, we can help discover the underlying causes that may be preventing positive results. You are not alone and will have members of the Best Paw Pack to help you every paw of the way! All Best Paw Nutrition Products are made with love in the USA. We care about making our products safe and healthy for your pet—and our planet. That’s why we use no extra packaging. All bottles, jars, and pouches are BPA free, recyclable and reusable. Pets too can have allergies. If you suspect an allergic reaction, discontinue use, contact us and consult your veterinarian.